Topten provides consumers with at-a-glance, best-in-class listings for a variety of energy-using products, including refrigerators, washing machines, TVs, lighting and consumer electronics. By showcasing the best performing models, Topten provides a platform for manufacturers to demonstrate market leadership in using the most energy-saving technology across their product ranges. Who runs Topten in the UK? 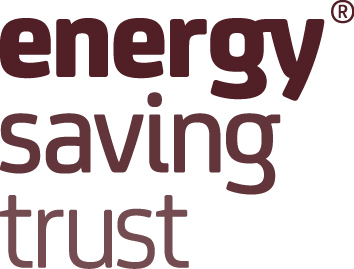 In the UK, Topten is brought to you by the Energy Saving Trust. We help people to save energy every day; through our impartial advice, commitment to undertaking research and work with businesses and governments, we are influential in driving behaviour change and inspiring new energy efficiency programmes and policies. Choosing the most energy efficient products saves us money - but more importantly, it reduces our environmental impact. Topten UK brings together the most energy efficient products on the market in one place. There is promising news as well in this area though: data analysed by the Energy Saving Trust showed that energy use per person fell by around 10% between 2008 and 2013; whilst this decrease will also be due to other factors (improvements in housing stock, behaviour change, and the further overseas manufacturing of UK consumer goods), the ecodesign and energy labelling regulations have no doubt played their part in this, giving us more efficient appliances and reducing waste from things like regulating a product's standby power consumption. How is Topten UK funded? Topten UK is part of the Topten ACT project. This project has received funding from the European Union’s Horizon 2020 research and innovation programme under grant agreement number 649647. Whilst we endeavour to ensure that the information on this website is correct, we do not warrant its completeness or accuracy. To the extent that the website and the information and services on the website are provided free of charge, we will not be liable for any loss or damage of any nature resulting from the use of the information provided.